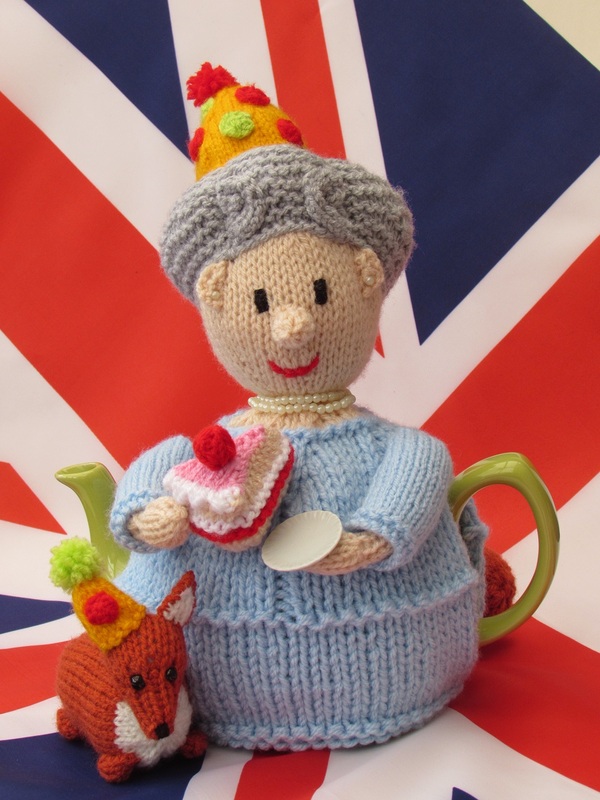 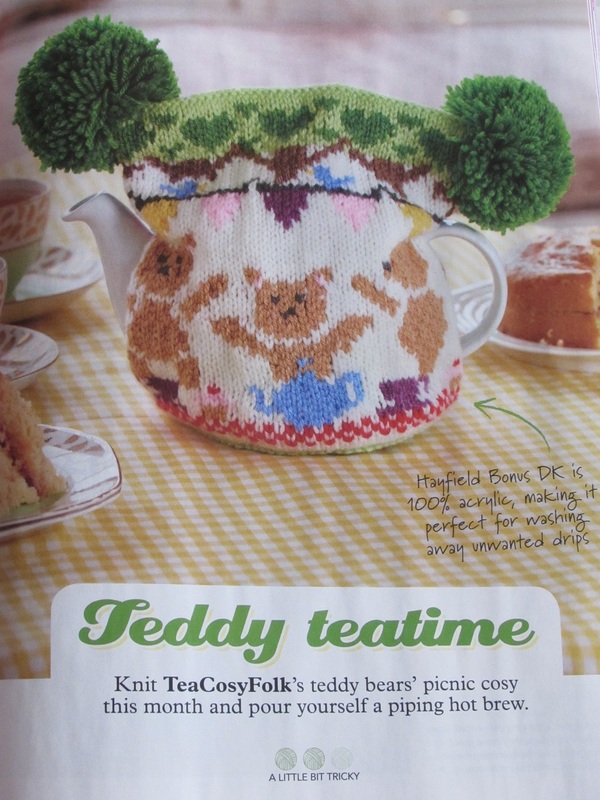 The Teddy Teatime tea cosy was designed for the Simply Knitting Magazine issue 158 which went on sale on the 31st of March 2017. 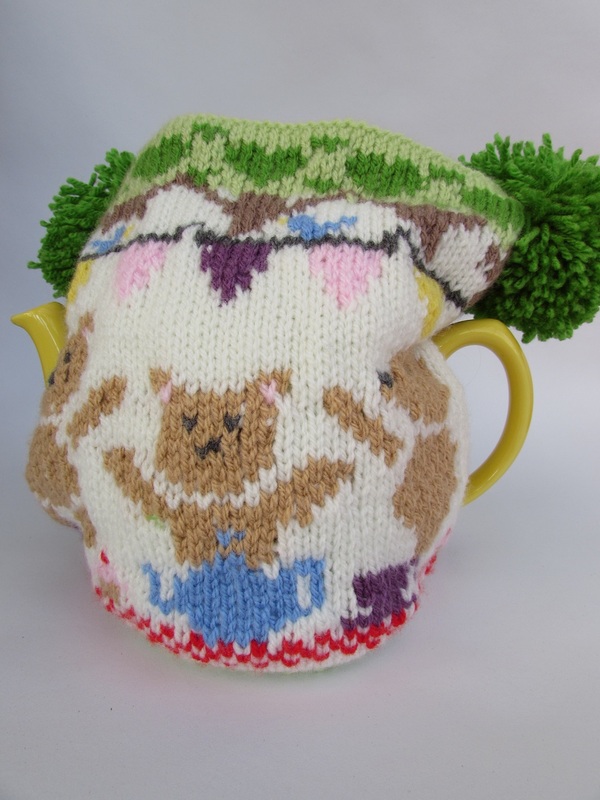 The teddy teatime was inspired by the song the teddy bears picnic. 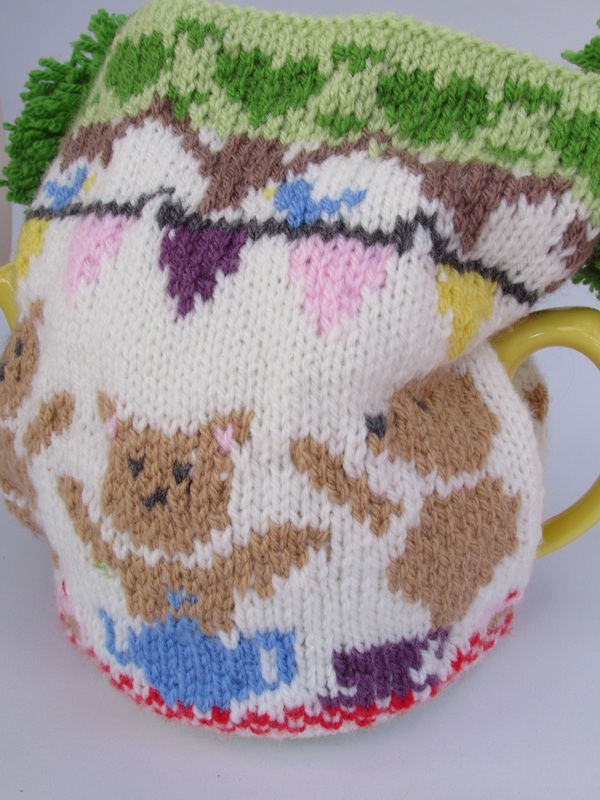 On the cosy the teddies are in the woods, the tops of the trees are in the back ground with bunting strung up in them. 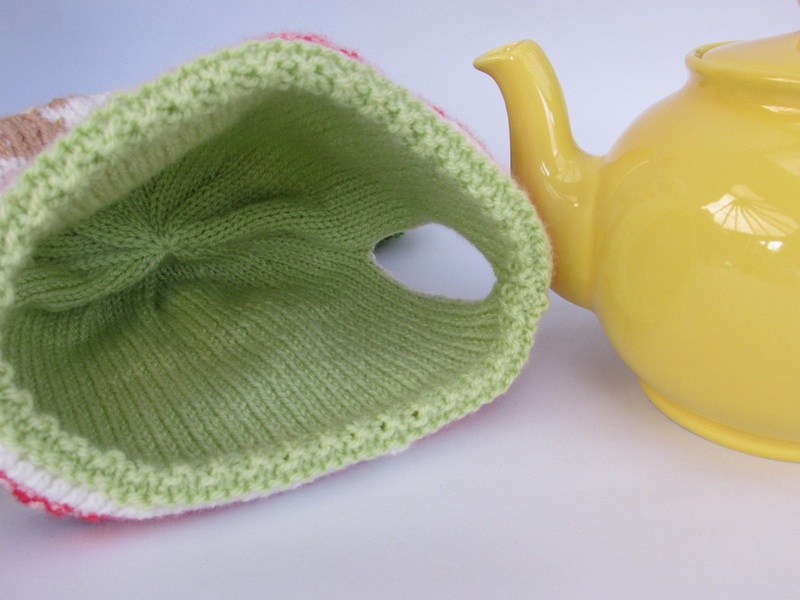 Below the tea party is set out on a red and white gingham cloth, they have tea and cakes at their picnic. 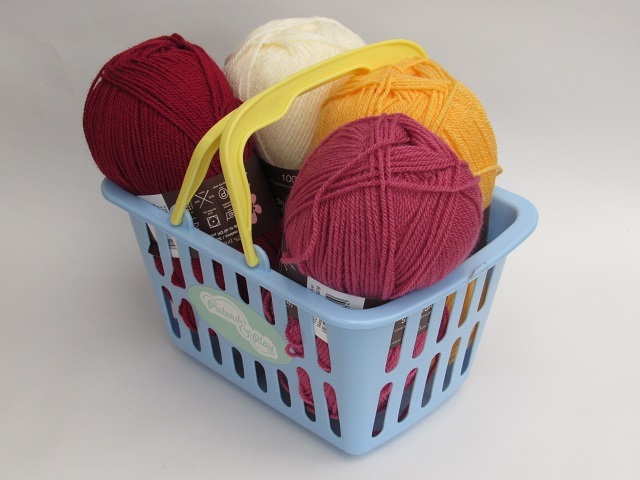 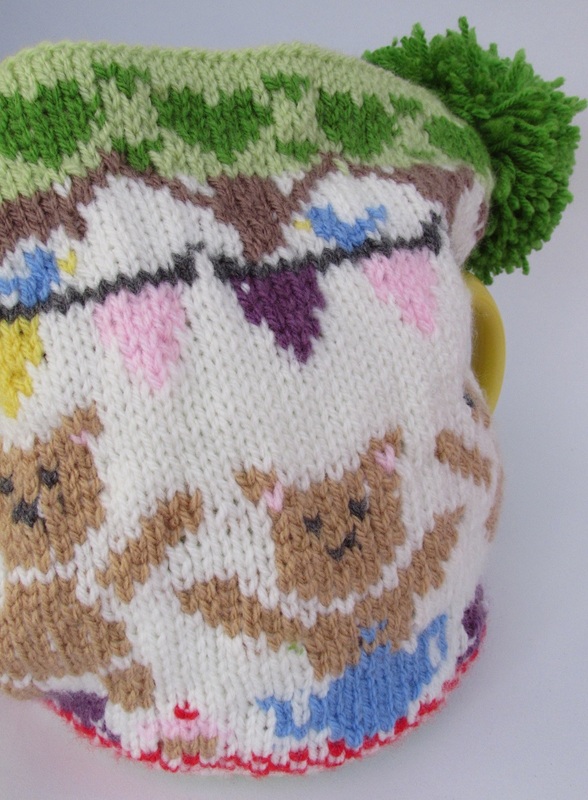 The main part of the cosy is knitted in fair isle with the yarns carried at the back of the work. 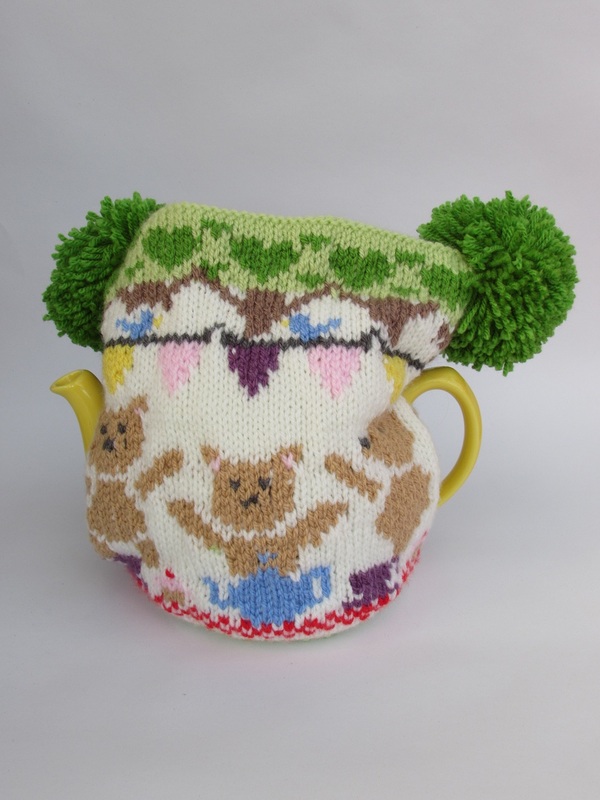 The main cosy has a knitted lining to keep the teapot really hot. 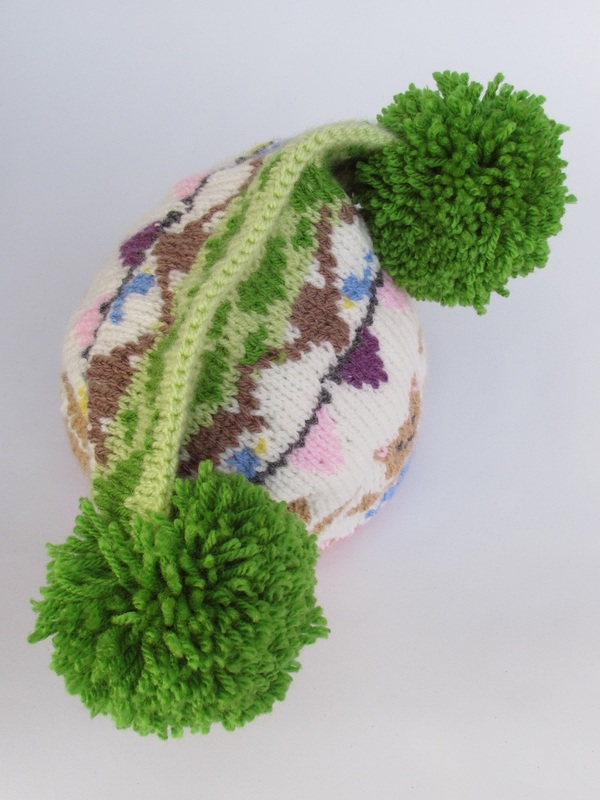 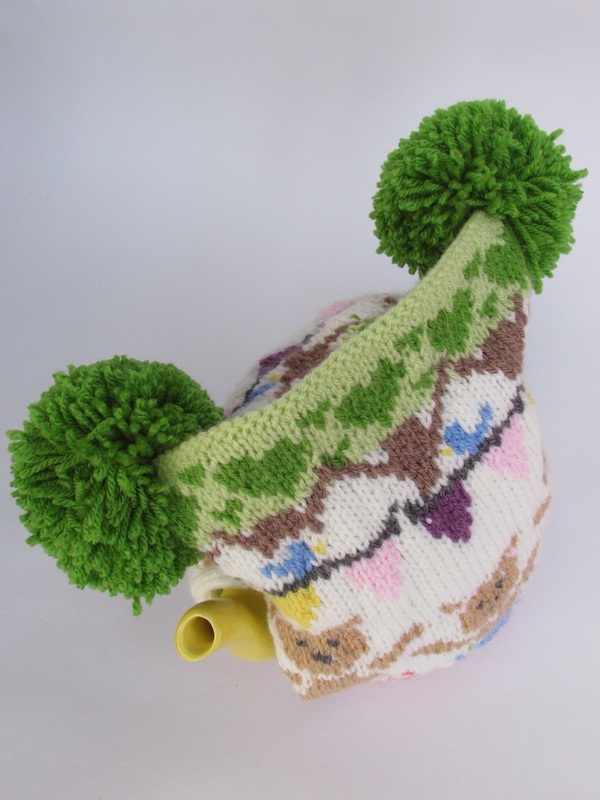 For the shape of the tea cosy I took inspiration from teabag style hats, which feels really appropriate. 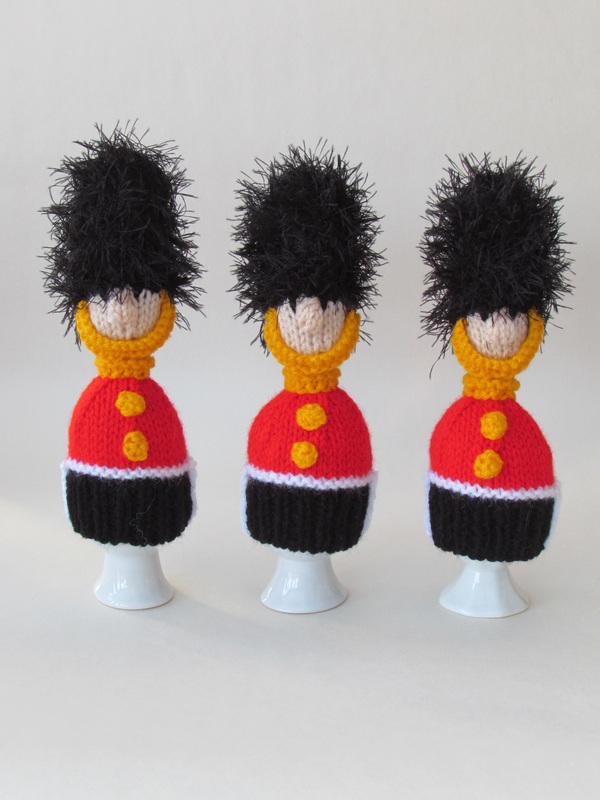 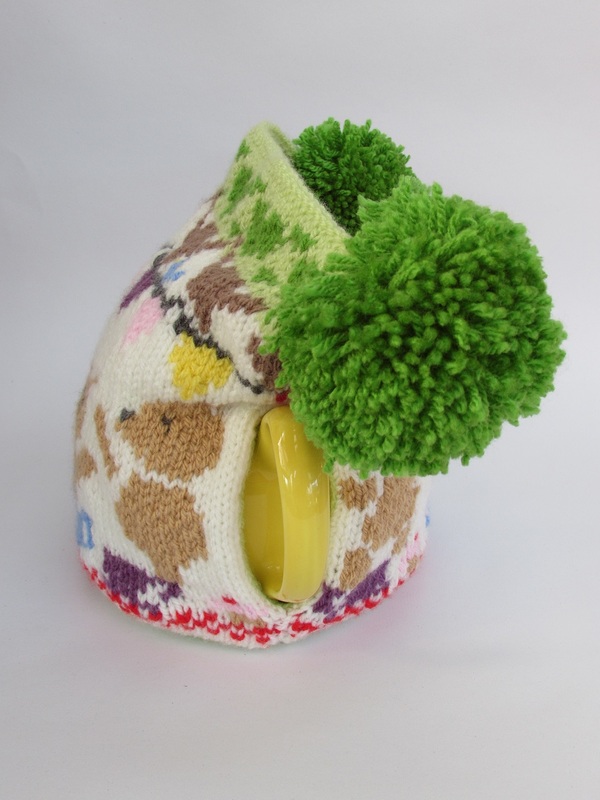 I made two big pompoms to adorn the corners of the cosy. 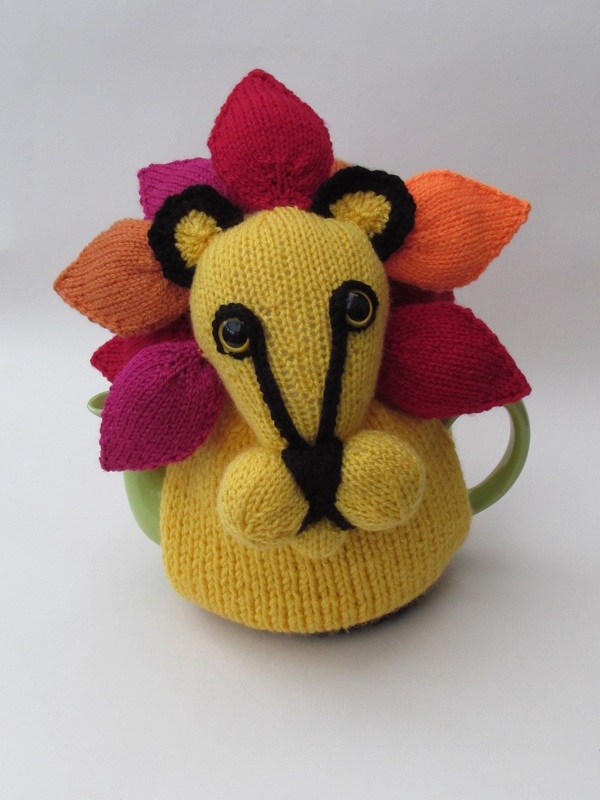 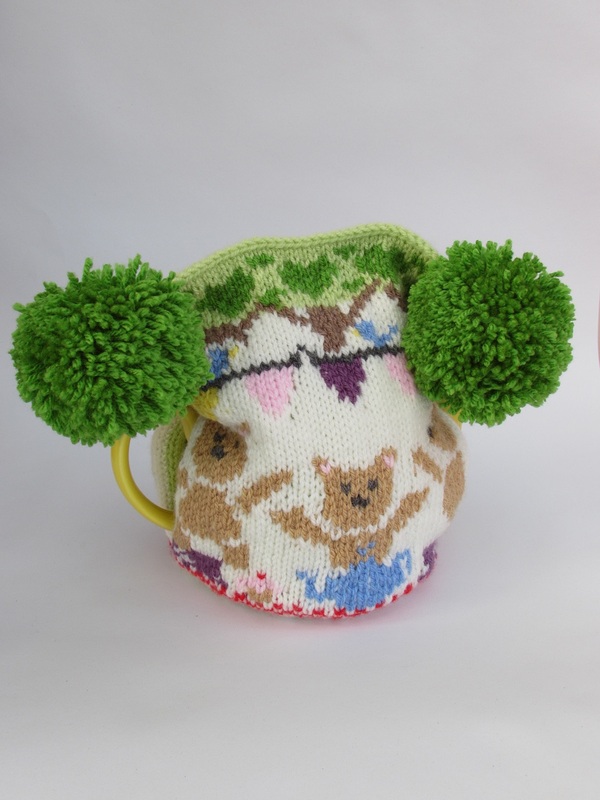 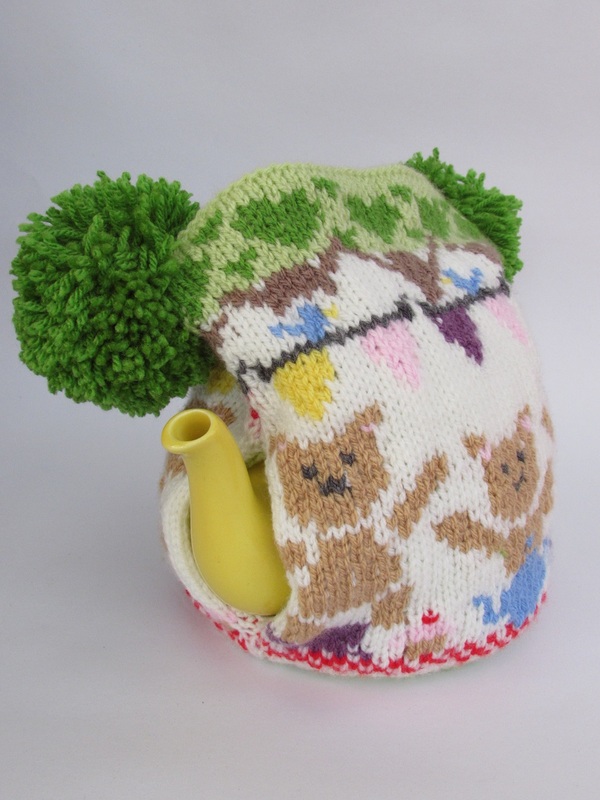 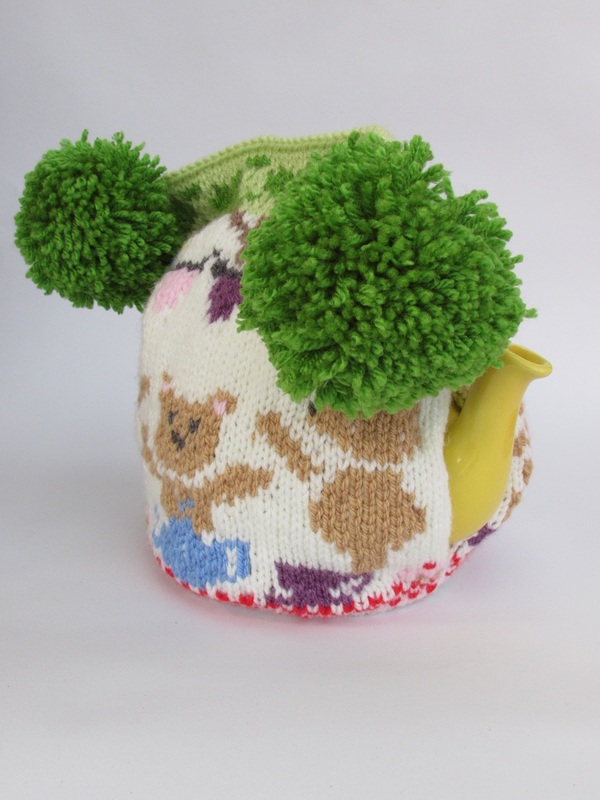 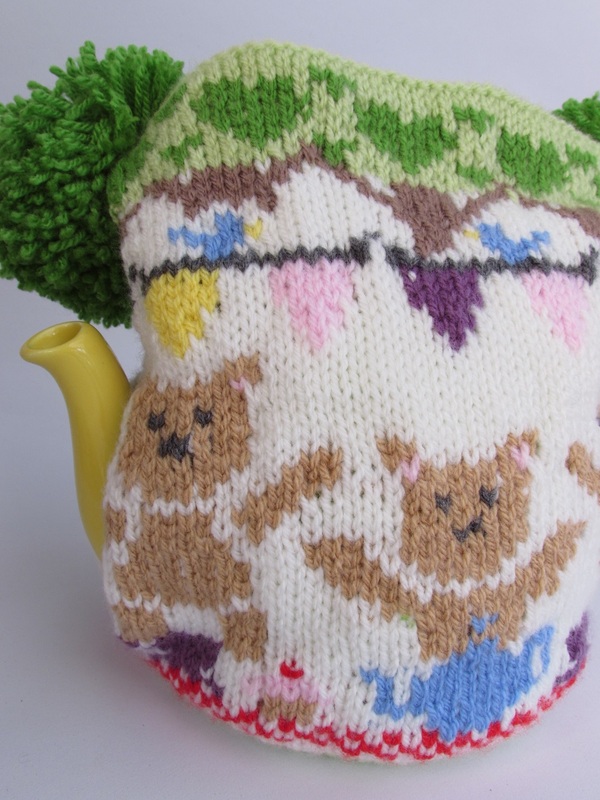 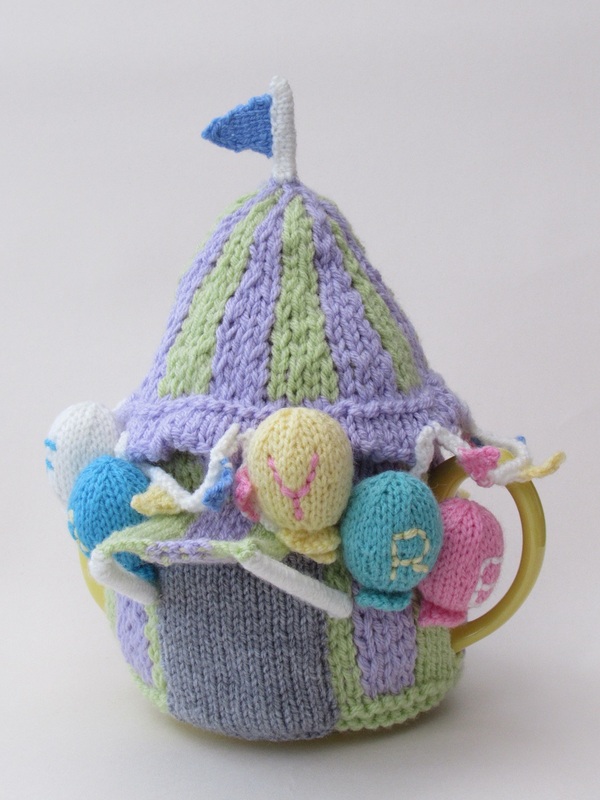 The teddy tea cosy would be perfect for any teddy lovers and ideal for anyone hosting a teddy bears picnic.